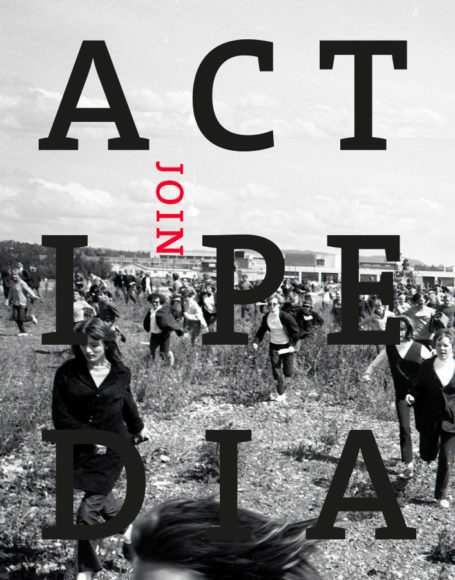 Actipedia is an open-access, user-generated database of creative activism. It’s a place to read about, comment upon, and share experiences and examples of how activists and artists are using creative tactics and strategies to challenge power and offer visions of a better society. Actipedia draws case studies from everywhere: original submissions, reprinted news articles, snippets of action reports. We believe that by learning from each other we can learn how to better change the world. Join us! Actipedia is a joint project of the Center for Artistic Activism and the Yes Lab. Actipedia is an open-access, community-generated wiki to document, share, and inspire Creative Activism.